A friend and I recently had a discussion about what to get preschool teachers for the holidays. I told her that as a teacher my favorite holiday presents were always the ones that came from the heart and were clearly kid made. Last year the Bee and I made presents for her preschool teachers. She took such pride in making them and was so excited to give them to her teachers. She loved telling them all about how she made them, and it made the present even more special for both her and her teacher. Since the holidays are rapidly approaching I thought I would share five kid made (or mostly kid made) projects that would also be fun presents for teachers, grandparents, aunts, uncles or any other grown-ups. Click on the links below for the full description and how to of each project. 1) Fruit or Herb Soap: We actually made these at the end of last school year for the Bee's teachers and they loved them. 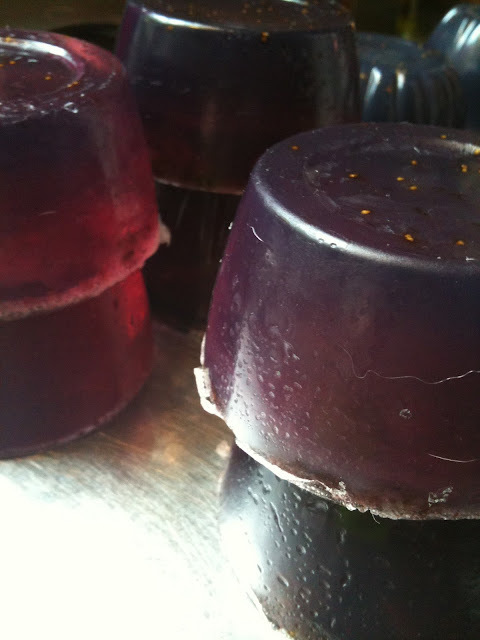 You can use any fruit or herb and pour them into any shape mold. I recently saw some cute snow flake plastic molds that would make fun winter holiday soaps! 2) Letter Sculptures: Made from recycled cardboard, plastic cups and brown paper tapes, these sculpture letters are easy to make and there are so many things you can do with them. I made the form for our letters, but older kids could definitely make the letter with little help. 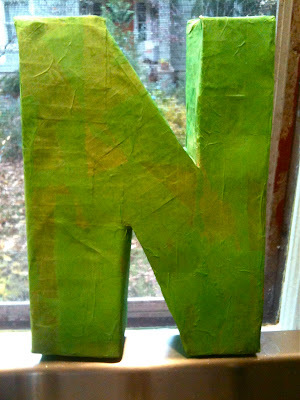 Once the cardboard letter is made there are so many possibilities with how to decorate. You can paint, decoupage, color, etc and kids can really take charge of the decorating! The letter would look great on a teacher desk or bookshelf. 3) Milliflore Bead Necklace/Bracelets or Ornaments: We made these this summer with a group of kids ranging from 3-12 years old and everyone of them was able to make their own and had a great time making them. Using a clay like sculpey or fimo you can use the milliflore technique to make beads that can be strung into a bracelet or necklace. You could also use the same technique to make larger ornaments or decorations. 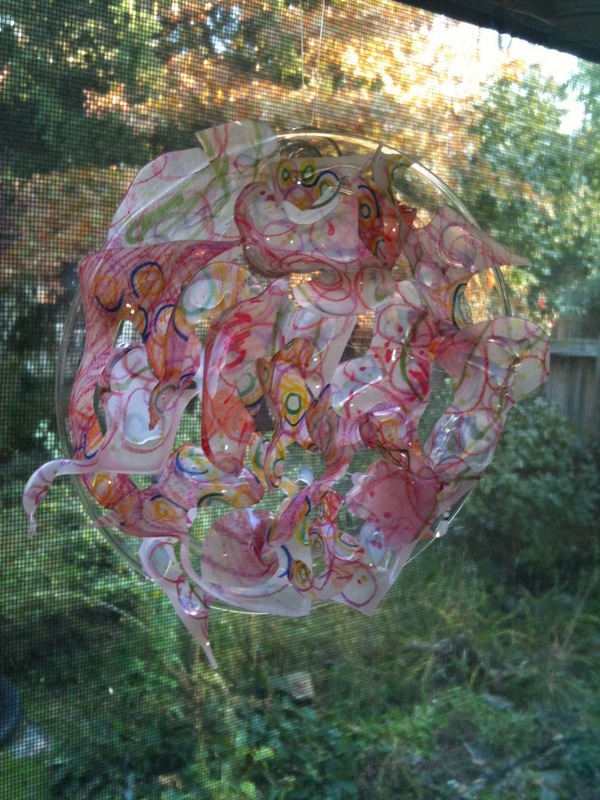 4) Shrinky Dink Sun Catchers: This project is quick, easy to make and looks really impressive when it is done. The Bee did all the coloring for this project and got a huge kick out of watching the shrinky dinks in the oven. The finished sun catcher looks beautiful hanging in a window or could make a cool ornament for a tree. 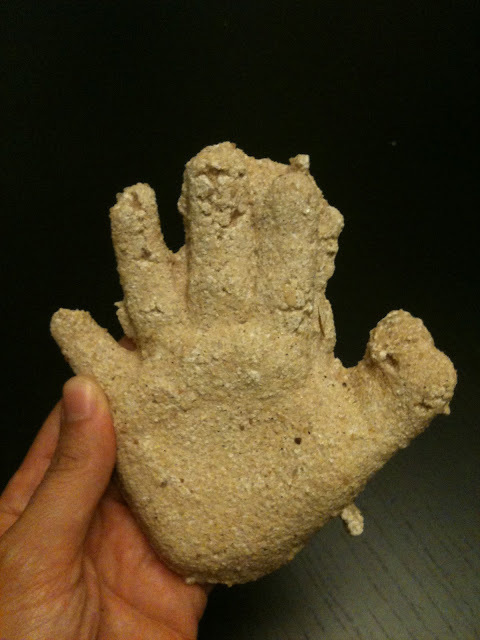 5) Sandbox Plaster Cast Hands: We are about to make these as our annual grandparent ornament. Every year we make an ornaments for the girls grandparents and this year we are going to make the plaster casts of their hands. Fun and easy to make these can easily be made into ornaments simply by sticking a straw into the plaster while it is drying and then running yarn or ribbon through the straw to hang with. I like the sand on the hands but you could also paint them for a more festive look. - cookies, getting kids to help bake and decorate is always fun. Or just have them decorate a special box or tin to put cookies in. - decorate a ceramic pot with paint or markers and then put in a plant, seeds or even candies. Do you have any favorite kid made holiday projects? What is the best kid made present you have ever received?